Let´s read and write about ... (3) - Family and friends. 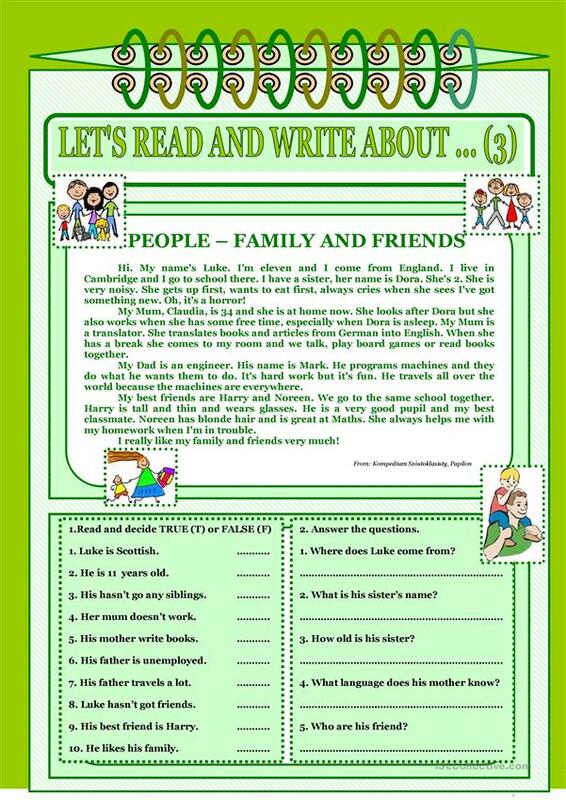 This is the 3rd part of my worksheets "Let´s read and write about...´ Student have to read the text on the given topic, then they have to do some tasks connected with the text. 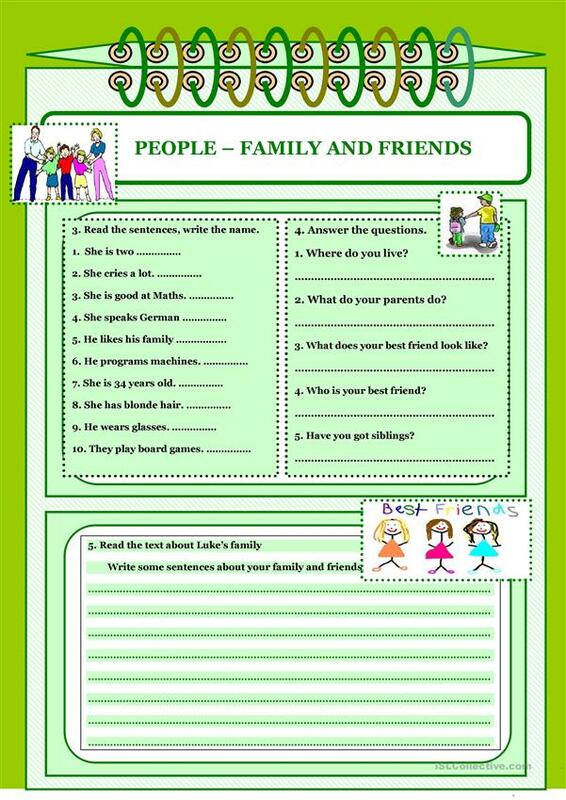 The present printable, downloadable handout was created for high school students, elementary school students and adults at Beginner (pre-A1), Elementary (A1), Pre-intermediate (A2) and Intermediate (B1) level. It is excellent for developing your groups' Speaking, Reading and Writing skills. It features the topic and words of Family.